Cameras are fast becoming commonplace fixtures on our streets, our public transport and even in our workplaces. Some argue that these cameras are a necessary and effective crime reduction tool. But are they actually as effective as people claim? Or do they infringe on our privacy with no real gain for society? Debaters gathered at an IQ2 public debate to argue for and against the proposition “Better more cameras than crime”. The third speaker for the negative was renowned barrister and human rights activist Julian Burnside and you can watch his excellent argument below. Over the past two decades, there has been a proliferation of Closed-Circuit Television (CCTV) schemes in most states throughout Australia (Wilson and Sutton, 2003). Unfortunately, CCTV has frequently been implemented without a clear understanding of the goals that may be accomplished through its use or indeed the circumstances under which CCTV is most effective. The issue of security in public places and on public transport raises wide-ranging concerns within a broad spectrum of organisations responsible for crime prevention strategies. The enormous growth in the use of CCTV both nationally and internationally reflects these concerns. These are compounded by the fact that risks associated with assault, sexual assault and property crime in all Australian States and Territories remains considerable (Weatherburn, 2004), despite significant investment in crime deterrent technologies such as CCTV. The increased use of CCTV has raised a series of associated socio-legal concerns. These include the overall financial burden of CCTV, whether CCTV assists with crime detection, the impact of CCTV on marginalised sections of the community, whether CCTV invades the privacy of individuals in public spaces and on public transport and its effectiveness as a crime prevention deterrent. The perceived success of CCTV in relation to controlling crime in Australia is almost totally anecdotal (Goodwin, 2002; Sutherland Shire Council, 2001, 2003; Welsh and Farrington, 2002). 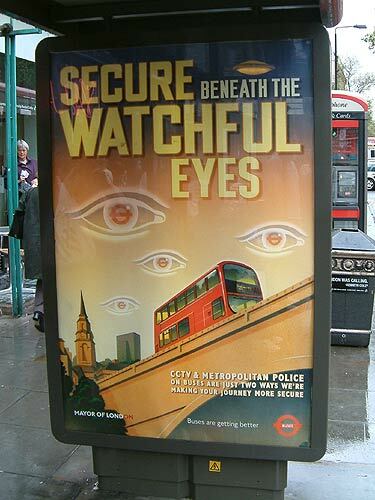 While further CCTV implementation continues to occur and state and federal agencies consider additional crime detection and minimisation strategies (Wilson, 2003), there is a critical need to undertake a comprehensive review and research the impact of CCTV on security of public spaces and public transport. This research questions the general assumption “that surveillance cameras are not only controlled and monitored constantly, but also operated effectively and efficiently” (Smith, 2004, p. 376). It is unrealistic to suggest the installation of cameras will have a major impact on crime rates unless “used as part of a strategy to tackle specific offences” (Gill and Hemming, 2006, p. 36). From our research it appears CCTV is effective at detecting violent crime and/or may result in increased reporting as opposed to preventing any type of crime. In 2007 ABC TV’s then European Correspondent Rafael Epstein reported on his daily bike ride from his home in North London to the ABC office near Regents Park. His 10 kilometre journey was captured by dozens of cameras, as were millions of other Londoners. Epstein wanted to find out why Britons have become the most watched people in the world, with over four million surveillance cameras, one for every 12 people. By one estimate the average Londoner is caught on camera 300 times a day. The United Kingdom has become a society obsessed with security. Yet even having 20 per cent of the world’s CCTV (Closed Circuit Television) cameras doesn’t seem to be enough. Authorities are now installing cameras that not only issue orders, but attempt to predict criminal behaviour. Epstein tests out some of them, with surprising results. What do you think about CCTV cameras recording everything the public does? Do they make you feel safe or watched by big brother? Are they a waste of money going into the pockets of security camera makers or a way of making people feel safer? Right, let me have a constructive comment here…it is true that the CCTV cameras has gone kuku in the last decade in London and in the whole UK, but I think it is not only the cameras and security that has gone over the top. Health and Safety regulations, environmental regulations, benefit fraud and so on and so forth…it looks like that pretty much everything went over the boundries of necessity…who knows why? Still, your article is pretty clued on, thanks for posting that! Public CCTV is a monumental con. The international research suggests there is little evidence of any reduction in crime. The other redneck justification is that it may not reduce crime but at least it assists with prosecutions. Again the evidence is not conclusive on this. Much of the footage is of such poor quality that it cannot be used in evidence. Poor quality footage can also give rise to miscarriages of justice including cases of mistaken identity. If anything CCTV cameras are only making our society more anti-social because increasingly people are trying to cover up their identity or avoid those spaces where cameras are located. CCTV cameras have become a litmus test of areas with social problems. As a private individual I object strongly to my image being recorded/stored and transferred to the police simply because I am going about my lawful business in a public place. My view is that if the state wants to maintain this unjustified invasion of privacy, then people will need to take the law into their own hands. CCTVs don’t deter crimes, but they are handy in solving a crime. it may give clues as to the people in the area during that time. however, it makes on wonder how to control and watch over several video cameras.. how much more millions of cameras. and the amount of data that need to be stored. that should be huge!